← luke 22:36 & self-defence: did jesus teach us to buy swords? How easy it is for Australians to jump to the conclusion that Islamic extremists are responsible for all forms of terrorism. The latest tragedy in Norway represents a prime example of this. The New York Times claimed that initial reports focused on the possibility of Islamic militants (with, it seems, no credible evidence for this). The UK’s Guardian suggested that, “The most tempting and immediate conclusion was that it would be a jihadist group,” (again with no credible evidence). 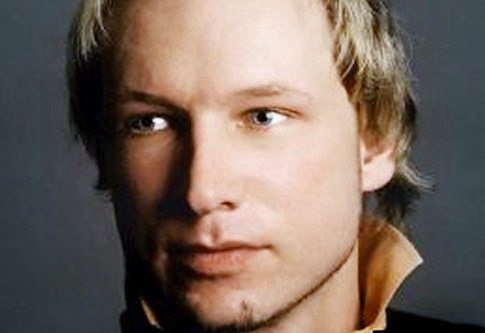 Australia’s Andrew Bolt put his suspicions out in the open saying, “Once the identity of the attackers becomes known, the consequences for Norway’s immigration policies could be profound,” adding that, “Already the unconfirmed reports suggest our immediate suspicions are correct,” (again, at the time of writing there was no credible evidence of this, yet even the title of Bolt’s blog assumed it was “terrorists” [plural] who perpetrated the act.) Since then Bolt has updated the post admitting the incorrectness of his claims, though he failed to outright condemn the attacks following the revelation that Islamic extremists were not responsible, nor did he address the issue on his show The Bolt Report this morning. One person with a belief is equal to the force of 100,000 who have only interests. Fundamentalism of all kinds is in my view potentially dangerous. Sure, people have the right to take on those views and express them, though that does not detract from their hazardousness. Christian fundamentalism asserts an anti-modern stance, refusing to allow the Bible to undergo critical forms of interpretation. Certainty is a value for fundamentalism (which is interesting, since certainty of knowledge is a value of modernism, though fundamentalists often do not see the irony), while a literalistic reading of the biblical text is a typical characteristic. Why is this potentially dangerous? Because to take such a philosophy to its logical conclusion is to read biblical passages of violence and judgement as literal accounts of what must happen, either now or later. A stark divide between “us and them” can easily be drawn, typically between us the “saved” and them the “condemned”. The “battle” that most Christian fundamentalists engage in is dogmatic, based on opposing modern ideas (evolution, liberalism, atheism etc.) Occasionally however the “battle” goes beyond the conceptual, and mixed with a twisted ideological reading of the biblical text, such as a white supremacist reading or anti-Islamic reading, some may see their faithfulness to God as taking the role of executor of the plan of judgement in the present. This is not necessarily the case with the Norwegian gunman, though it would represent other cases of Christian fundamentalist violence in the past. In any case there are two points to briefly draw out here. The first is that fundamentalism of all kinds has a notable potential for violence given the very definite lines of “us” and “them”, “in” and “out” that are drawn. This is not only inclusive of Christian fundamentalism, or Islamic fundamentalism, but Hindu, Buddhist and atheist fundamentalism. The reading of religious and other texts needs to be done in a way that takes into account the complexity of language and the fact that meaning goes beyond literalism. The second point is that there is deep problem in us when we first assume that any act of political violence has been perpetrated by Muslims despite any evidence to suggest so. Such a premature conclusion may stem from racism, though not necessarily. It certainly does demonstrate a propensity to shift blame to the “other” while retaining the false belief that “we” are somehow superior. Such an underlying thought pattern inevitably leads some to constantly see the sin in others without recognition of their own evils. Truly, Muslims are sometimes responsible for crimes, but so is every other people group, including “ours”. Western Islamophobia is a sad reality, not least because it ignores the crimes of the West against Muslims, or worse justifies them. I certainly don’t have a final answer to this problem, and I would love to hear your thoughts. This is of course a very simplified and truncated account of Christian fundamentalism. To read the foundational document of one version of fundamentalism check out The Fundamentals: A Testimony to the Truth. The inability of fundamentalists to read texts in light of their complexity is often demonstrated to me by the methods sometimes used by Christian fundamentalists to attack Muslims and the Quran – rebutting the interpretations of the Quran by Muslims and Islamic scholars by prooftexting from it without reference to context. This is indeed the same way they read the Bible, and in their literalistic reading they fail to understand both texts. 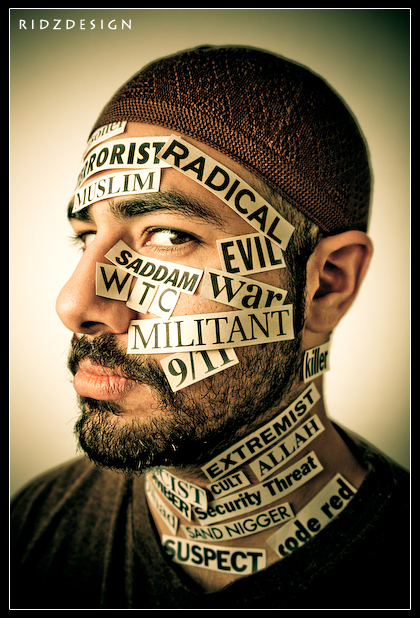 Posted on July 24, 2011, in Culture & Art, Current Events, Hermeneutics and tagged Andrew Bolt, Fundamentalism, Islamophobia, Jihad, Militant, Terrorism, Violence. Bookmark the permalink. 1 Comment.